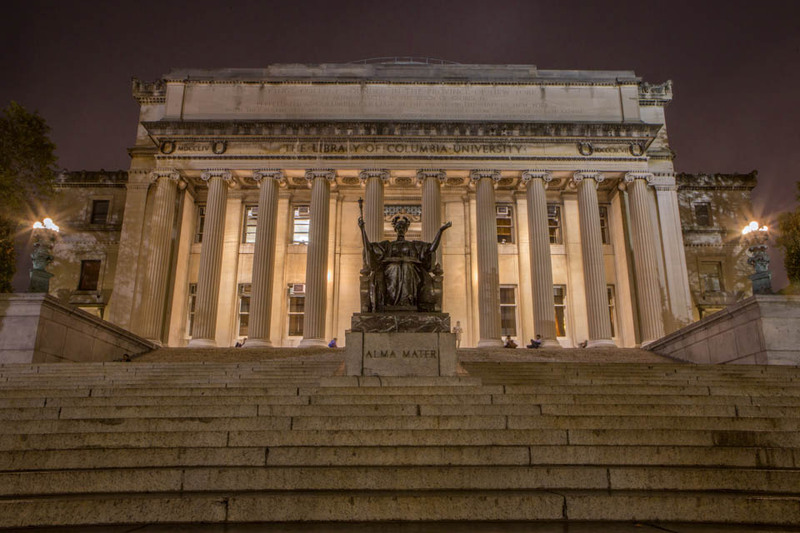 A University spokesperson declined to release more information on the case, but emphasized that Columbia closely follows federal regulations that require universities to disclose information about crimes that pose an ongoing threat to the student body. More than a month after Julian von Abele, CC ’21, harassed a group of mostly black students outside of Butler Library, Columbia has declined to release any information regarding potential disciplinary measures to be taken against von Abele. Meanwhile, Barnard’s December decision to ban von Abele from the college’s campus remains in effect, according to a College spokesperson. Last December, von Abele was caught on video spewing racist, white supremacist rhetoric, shouting “white people are the best thing that happened to the world” and attempting to make physical contact with a female black student who can be heard yelling “Don’t touch me.” He followed the group from outside Butler to JJ’s Place, where the students approached an off-duty uniformed security guard who told von Abele to stop making offensive comments, according to a University spokesperson. The incident has since been recorded in the University Clery Act Daily Crime Log, which publicly discloses information about crime on and near campus, as a bias-motivated harassment. It is still pending investigation, according to the crime log. Since the incident, various student groups have released statements of support and outlined requests for transparency from the University. In a statement widely endorsed by other campus organizations and the Institute for Research in African-American Studies at Columbia, the Black Students Organization called for the University to bring immediate disciplinary action against von Abele, among other requests. Columbia has not indicated whether or not von Abele will be returning to campus this week for the spring semester. Von Abele did not respond to a request for comment. “Members of this and every university community rely on staying informed about threats to health and safety, and we take that responsibility very seriously,” the spokesperson said. “The appropriate means for providing such information, including through campus alerts, is guided by federal laws and regulations, and our own warning policy. We’ve followed that guidance and those policies here." Federal Educational Rights and Privacy Act, a student privacy law that ensures the privacy of students’ educational records, prevents college campuses from releasing student records unless necessary for the safety of the community. While von Abele’s ban from Barnard’s campus remains in place, a college spokesperson did not comment on further specifics regarding its length or how the ban would be enforced. Citing social media threats sent to individuals whose films of the incident and social media posts attracted national attention, students interviewed by Spectator emphasized feeling unsafe without clear knowledge of how the University is handling the case. Referencing other recent bias-related incidents on campus, including the anti-black vandalism that occurred in Carman Hall last December, Nigel Telman, CC ’21, emphasized the need for greater University efforts to address recent incidents of racial violence on campus. “If we want justice done we have to scream about it… It worries me because there is a pattern that’s building and I don’t want to see where that pattern leads us,” Telman said. Staff writer Grace El-Fishawy can be contacted at grace.elfishawy@columbiaspectator.com. Follow Spectator on Twitter @ColumbiaSpec.